I’ve witnessed mountains move through prayer. I experienced a transformation of my life circumstances and a transformation of my heart. Prayer led me to the throne of God where I met Him for the first time and eventually felt His presence. Prayer showed me who I am in Him rather than in the world. It became my lifeline of joy, peace, love, and hope. But, the truth is, I still forget and I still allow my “stuff” to get in the way of an effective prayer life. You would think that because I write here in this space every week and speak Jesus into the hearts of anyone that will listen, I’d have this prayer thing down. After all the powerful experiences I’ve had with God through prayer, you would think I’d have long passed battling that which hinders effective prayer. But I do. Do you? Do you sometimes not even realize the drifting? Yet, you begin sensing a distance from God with prayers that lack passion? Do you ever simply feel “blah” about praying? As if it is just one more thing to remember to do? Did drifting ever lead to walking away all the while half-heartedly saying you’ll pray … later. Friends, forgetting the power of prayer is exactly what the enemy wants. He wants blah so that we turn away and lay down the most powerful weapon we have to a victorious life. Last year I attended the The Fervent Tour with Priscilla Shirer and Anthony Evans here in the Phoenix area. It was a Holy Spirit filled night and I walked away light, revived, and with a renewed passion for prayer and for Jesus. Each attendee received a copy of Fervent: A Woman’s Battle Plan for Serious, Specific, and Strategic Prayer by Priscilla Shirer with their ticket. Friends, it is a book you need in your prayer collection. Here is what Priscilla said about the devil’s desire to take this weapon away from us. “But make no mistake, this enemy will seek to discourage you from doing it. Dissuade you. Disarm you by putting a distaste for prayer in your mouth. He wants to see you passionless, powerless, and prayerless. Quiet. And because prayer is the divinely ordained mechanism that leads you into the heart and the power and the victory of Christ, he knows you’ll remain defeated and undone without it. Tired and overwhelmed. Inching forward but mostly backward. Trying to figure out why the hope and enthusiasm you feel in church doesn’t follow you to the four walls you live within. I don’t know about you, but every single word written there resonated deeply for me. It made me choose to rise up, take notice, and stop allowing my “stuff” to get in the way. So, the problem solver in me needed to take note of the things that hinder an effective prayer life. I figured I wouldn’t be a good guardsman if I didn’t know the enemy’s line of attack! This list is just a start. I’m quite sure there are more ways in which we can hinder an effective prayer life. What can you add to the list? What is one thing on your personal list that you could commit to changing today? List all of the things that you believe are hindering your prayer life. Start with the one you chose to commit to changing today. Work your way through the list over time. There may be some you can do simultaneously, but others may be huge issues to conquer that take time. Remember, God honors small steps as long as they are steps toward Him. ***I am a part of the Amazon Influencer Program so, by clicking on my link I will earn a small fee but you won’t pay a higher price than usual. To see all some of my favorite items, stop by my Amazon Influencer page HERE ♥ I’ve just started putting it together, but am looking forward to adding more of the resources and products I love! 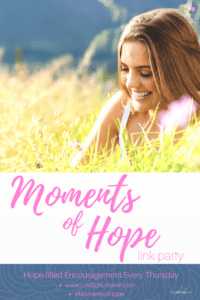 *And please don’t forget to jump on over to her site and leave some #MomentsofHope comment and sharing love! He longs to hear your voice! The How Do You See Yourself Free Online Quiz! And then be on the look-out for a soon releasing email course titled Longing for More than the World’s Reflection. It will walk you through the steps to seeing yourself in the reflection of an unwavering and loving God rather than in the unsteady and often angry reflection of the world. Stay tuned for more information! Thanks for this post Lori. I certainly dont want my prayers hindered. And thanks for hosting. Have a blessed week! Wow, it’s powerful how your words and Karilee’s words about prayer came together! Prayer is one of my hardest challenges in this following life. Thanks for the encouragement to persevere. 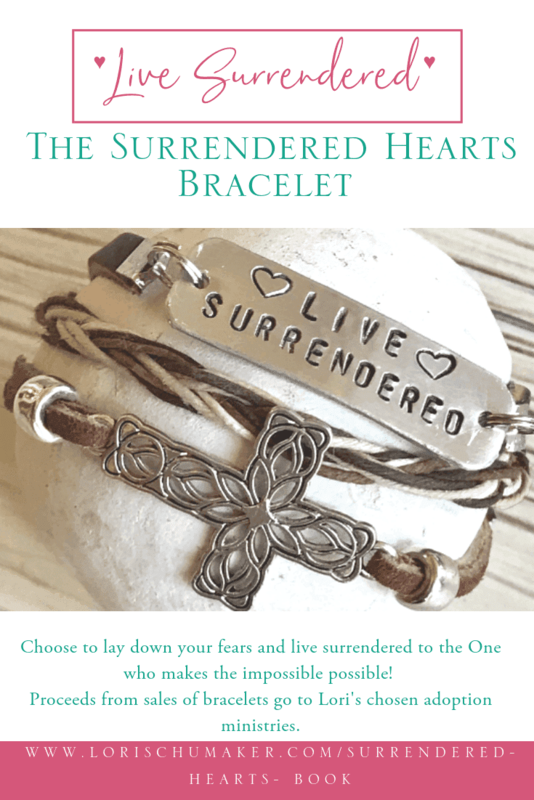 The one new thing that I am working on incorporating into my prayer life, actually comes from Michele Morin’s awesome blog post this week! 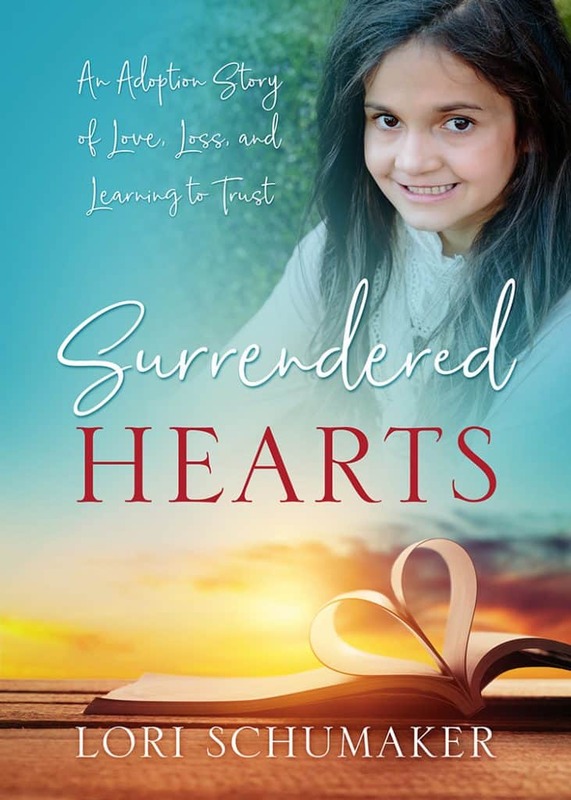 In it, she talked about how she made it a habit to set her alarm throughout the day, telling her it was time to stop and spend a few sweet moments with the Lord. I loved that idea! And I could certainly use a reminder to stop and soak during my days. I usually get to read Michele’s posts, but haven’t seen that one! What a great idea! When we planted our church, even before we opened and it was in the planning stages, our pastor started 1234. It was a reminder to us to unite in prayer at 12:34 everyday to pray for the church. Each week he would send a newsletter titled 1234. It was pretty cool to know that all over the city we were uniting during that time. We continued it for the first 4 years after we had close to 1000 attendees and I don’t know how many receiving the email each week! I most definitely struggle with “blah” prayers. But I like how you pointed out that doesn’t mean we should stop praying. For if we stop, what will change? Thank you for these convicting words! I love watching God work! Praying His conviction births newfound-spirit-filled-sock-rockin’ prayers! 🙂 Thanks so much for joining me in sharing hope, Emily! you are a blessing! You are right that Satan want to hinder our prayers in any way possible. So often we just don’t see the importance of our prayers. I know that sometimes I think it won’t make a difference, but our prayers really do. Thanks for this reminder. The book, Fervent, sounds like a great inspiration. I read Priscilla Shirer’s book on prayer and was motivated to pray more. I can only imagine how good the conference was! Thanks for encouraging us today to keep praying, Lori. Oh, yes! It was amazing. Her brother, Anthony Evans, lead worship, too, and oh my stars!!! It was uhmAHZing!!! Thanks for sharing so honestly and transparently about your struggle, Lori. That’s so refreshing and makes me love you all the more! 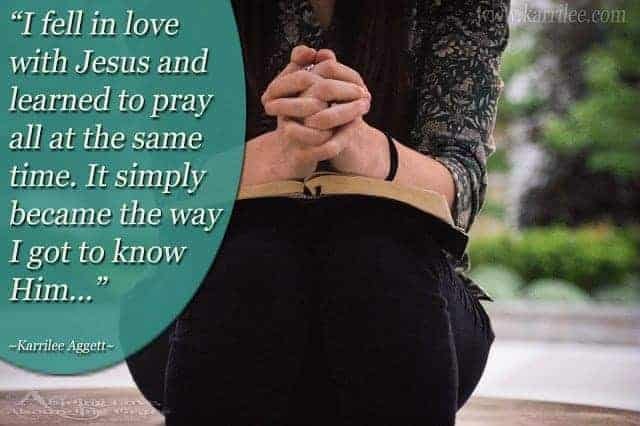 Yes, it’s so easy to let things get in the way of our prayer life. It’s such a precious gift to me, but can easily be derailed by a busy season in my life. I would add “deception” or “image-management” to your list of hindrances. Obviously, that’s not something you need to worry about, my friend! Thanks for this shot of inspiration! Thanks, Beth! Day-by-day I am coming to a better understanding of my work-in-progress life 🙂 If we didn’t share our messages even when we weren’t getting it right, there wouldn’t be any messages to give because none of us are going to get it all right on this side of the cross, right?! BTW – I am so glad you love me ♥ Your friendship is such a blessing! It really is our lifeline, Jennifer! Love that! Thank you so much for joining me! After I read this, I had to stop and pray. So that’s what I’m doing now. I am so encouraged by your post. Last summer God had put an idea about prayer on my heart. I jotted a few things down and then let satan mess with me. How could I write about prayer? I don’t do it good enough? etc. Then I drifted from my designated time with God in the morning until recently. But then as I travel I find my time with God back to sporadic. I know time with God can be anytime but I personally need it first thing in the morning. But here I am typing to you and once again I put it off for later. You have inspired me to get back to it. Thank you! Amen! I love hearing how God works! I have been right where you are so many times, Maree. I struggle with doubt because I don’t get it all right. That was part of my message on Friday night. It was about the hurdles we face and the fact that the enemy wants us to give up and walk away. But the truth is that God gives us a story in which we won’t get it quite right as long as we are on this earth. We won’t get it right until we come face to face with Him on the other side of the cross. Along the road we hit lows that cause great pain and often shame, but then we turn to Jesus and experience His redemption of every messy place. Then with that redemptio in hand, we point to Jesus with a message of His hope. I am so blessed by you, my friend! Getting to know Jesus is so important, to take the time to go to your room and shut the door and seek him. Praying and talking…no one will know, but He will. He is listening to every word. Thanks for hosting. What a wonderful post! All those hindrances to prayer are real and yet often overlooked. I’m praying for you as you prepare for A Night To Revive. What an awesome way to encourage women. What a good word, Lori! And, this list is powerful! I do so many of these things, and they do hinder my prayers! Thanks, Mel! I pray it encourages others to remove those things getting in the way of a powerful prayer life! Oh friend… you know I love this because –well, you –and prayer! #swoon Honored to be featured here as well! And oh my stars, I am praying for y’all today/tonight! 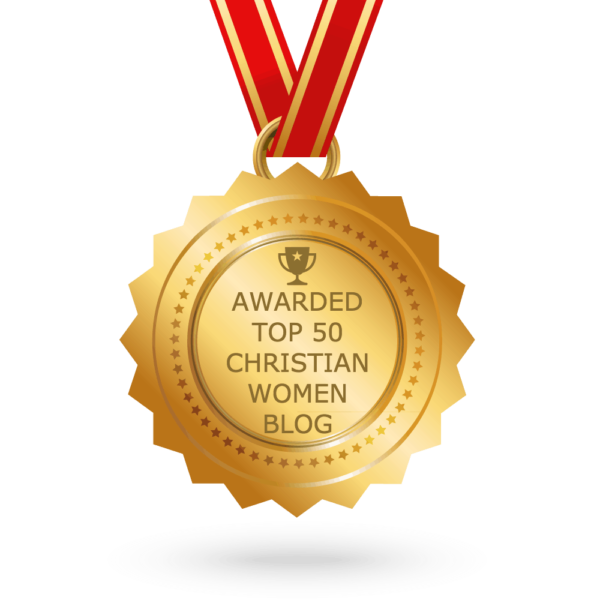 Lori, Thanks so much for stopping by my blog. Your words blessed me! ♥ ♥ ♥ Your words always challenge and inspire me, my friend!!! Lori, as always, your articles are just full of encouragement and wisdom. Thank you for being transparent about something most of us face. I think one thing that has hindered me that is not on your list is expectations. I “expect” prayer to look a certain way. I “expect” answers to come a certain way. There’s lots of things I have relied on that I have come to realize are false expectations. I’ve had to learn to give up my expectations and wait on God because His way is better. Listening and waiting is so important in prayer and is something we often miss out on. I loved this post, Lori and plan to share everywhere. Thank you so much, Leslie! Expectations is definitely a good addition to this list! That gap between expectations and reality always leaves disappointment so when we place human view expectations on God-designed reality, we are left susceptible to disappointment. And in our humanity, we often pull away when disappointed rather than lean in. Thanks so much for sharing this, too. I pray it inspires others to commit to removing some of those hindrances from their prayer lives!! !